Add more style and functionality to the TrailDash2 or TrailCal with the all-new JL Wrangler® center console mount. This center console replacement unit can be used with or without a Superchips on-dash device. 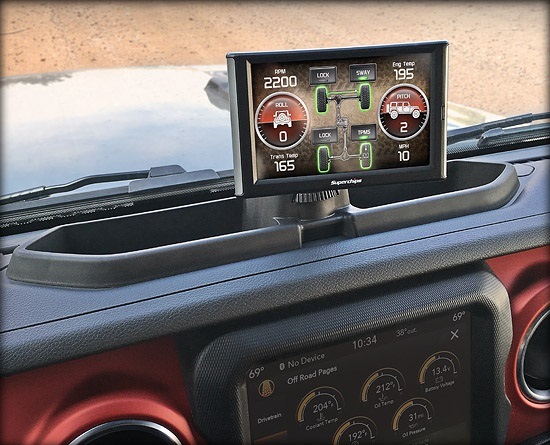 Offering a very clean and simple option, this multi-mount system, versatile dashboard accessory option is easy to install and offers a sharp factory look and feel. Whether you are hitting the trail or taking the daily drive, this new SKU from Superchips (PN 38302-JL) is ideal for mounting your phone, GPS, TrailDash2, TrailCal, and other devices. The system mounts across the top center dash recess and incorporates two deep storage compartments. Use the mount to display your Superchips on-dash device. A universal ball mount included with this unit allows for easy on-dash mounting and integration for any TrailDash2 or TrailCal device. 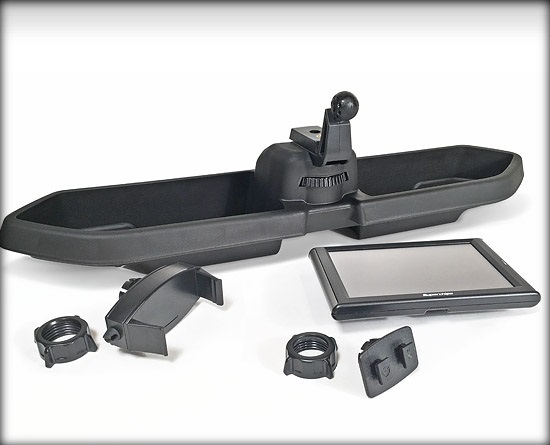 Keep data, maps, and more front and center in a secure, obstruction-free mount.